Is it possible to go on a road trip with an electric vehicle (EV)? Yes! It certainly is. You just need to know where the charge points are and create a solid plan. We’re going to tell you exactly what you need to make your electric road trip a buzzing success. The majority of people still think that electric vehicles are not meant for long road trips. Although it’s definitely not simple, the number of long-distance road trips with an EV has increased significantly over the last years. The amount of charging stations is also increasing, so this is going to make it a lot easier in the future. 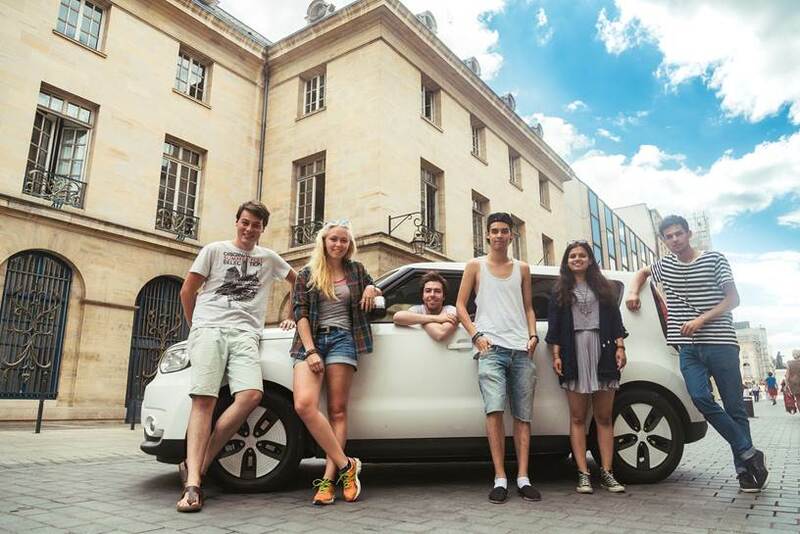 Take for example these six students from the University of Eindhoven in The Netherlands who went on a road trip using the Kia Soul EV. In 3 weeks, they drove through The Netherlands, Belgium, Luxembourg, Germany, Switzerland, Austria, Italy, Monaco, France and Spain. “During one of our classes, we came up with the idea of going on an electric road trip,” says one of the students. It turned out that 85% of the charging points (especially those in France) were free. The whole trip (which was 4500 kilometers) cost them less than a hundred euro. If you’re not sure yet if you want to go on an electric road trip yourself, we’ll take you through the pros and cons of going on a road trip with an EV. Obviously, one of the most important benefits of driving an EV are the costs. The cost of charging for a distance from point A to point B is lower than the cost of fuel (especially Diesel) for the same distance. EV’s are simpler and easier to maintain and use. Conventional fuel like gasoline or Diesel emits a lot of CO2, which contributes to global climate change. Fossil fuels are a limited resource, so there’s no other way than to transition to cleaner, eco-friendlier cars. In the last couple of years, we’ve seen major developments in the electric car industry, making EV’s cheaper and more efficient. The future of EV’s is looking bright. An EV costs more to buy or rent than a conventional car. This can be compensated for by cheaper fuel costs though. And, if you buy an EV now, you can offset these costs by tax benefits and other governmental incentives used to drive down the prices of EV’s. The longer the range of the car, the more expensive they are. If you don’t mind a bit of planning, you can certainly get by using one of the cheaper, shorter range, cars such as the Kia Soul EV. If the 6 Dutch students did it, so can you. Are you worried that (the lack of) your planning skills will get you and your fellow travelers in trouble? Or you don’t want to rely on apps? Then consider renting a hybrid. Whatever kind of EV you choose, the following tips will help you to make your journey a success. Tip 1: Where are the charging stations? Your trip depends on the location of the charging stations, so the first step is to do some research and plan out a route around the charging stations. This means that you don’t have room to deviate from your route. You need to make sure the next charging station is within range. Fortunately, we live in a world of apps! And these are indispensable when you go on a road trip with an EV, so make sure you prepare and download the necessary apps on your smartphone. Make sure you have internet on your phone so you can check the apps when you need to. Unfortunately, you can’t use the same cable and charge card at every charging point. If you stick to one country, it’s easier. Do you plan on visiting more than one country? Then it gets a bit trickier. The charging points in France, for example, are different from those in the Netherlands. You need to ask for all the right cables and cards from the car dealer you get your EV from. He or she might also give you some more information and advice about your road trip. Don’t forget to apply for the right charge card though! This is incredibly important. You need to join one of the providers in each country you want to visit, and it takes a couple of days before you’re able to charge your car. Make sure you get all the information and plan well ahead. Another option is the charge card and app from New Motion. This card gives you access to more than 76,000 charging stations in Europe. Countries include Belgium, Germany, The United Kingdom, The Netherlands, France and more. Although quite handy they don’t offer a guarantee! Besides getting familiar with the different charging systems, you also need to know the different traffic rules! Especially if you want to drive from the UK to France (via the Eurotunnel or by ferry); be aware that they drive on the left side in the UK. The rest of Europe drives on the right side. Not every car has the same driving range. A fully charged battery of a new Renault ZOE has a driving range of 400 kilometers. In reality, this comes down to 250-300 kilometers providing you’re only driving on the highway. If you don’t want to stop at too many charging stations, consider slowing down a bit and drive 90 km/hour on the highway. There’s power everywhere. Are you in trouble because you can’t find a station? Remember that you can always use the home charger. Ask someone at their house if you can use it, or drive to an industrial area where you can always find power. Don’t be afraid to ask local people for help. EV drivers are known to be friendly (something to do with caring about the Earth…), so people will be happy to help you. Tip 5: Scenic route or motorway? Scenic routes are usually the reason why people go on a road trip in the first place. With an EV however, you need to be careful to not end up somewhere in the middle of nowhere without a station (or house) in sight. Determine whether you need to arrive at your destination at a certain time or if you want to take it a bit slower and enjoy the ride. Pros of taking the motorway are definitely time and ease. You’ll get there faster and you won’t have to worry as much about finding enough charging stations. Going on a road trip always requires extra flexibility. Especially when you’re driving an EV! This doesn’t only apply to your mindset; it applies to your equipment as well. Make sure you pack an extra long cable so you are well prepared for any unusual charging stations. When you’ve parked somewhere and your car is charging faster than you can finish your picknick, don’t hold the spot longer than necessary. Is your battery full? Then unplug the charger and let other people have your spot. Does the charging take longer? Try to relax, read a book, go shopping or sightseeing, or find a place where you can stay the night. 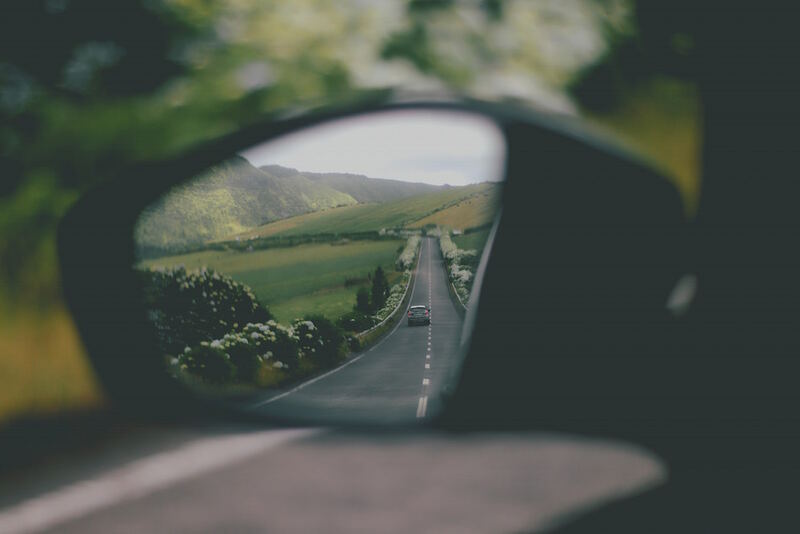 Traveling and being on a road trip offers you the chance to go with the flow, take life as it comes and opens yourself up to new opportunities, adventures, and people. Start your trip now! Compare your EV rental cars here. Door dit formulier in te vullen en te verzenden ga je akkoord met dat wij je reactie en informatie opslaan.